I had been reading a lot of positive reviews about this book on Face book and good reads. The attractive cover page and the interesting tag line (Not all love stories are perfect, but then, neither are people) added to the alluring touch. I googled the author, reached his website and read the sample chapters …. Only to become more curious to know where this does all lead to! So the moment I got an opportunity I bought this book from Flipkart to quench the thirsty me. “…. A remarkable novel by a first-time novelist of immense promise…often exquisitely rendered…. Exceptional achievement that deserves all the plaudits it is sure to garner.” – Dr. Shashi Tharoor. A hotelier by education, an ex-banker and a senior executive in the outsourcing industry, Sid gave up a plush career in the outsourcing industry to follow his passions. Based out of Ranikhet, he is not a struggling entrepreneur and a happy writer. A self-proclaimed eccentric, he is an avid blogger who loves to read and cook. Cooking stories however is his passion. As I have told many times before here, I am blogger and like all other bloggers I also dream of getting published some day. Hence any author who was once a blogger automatically attains the position of a maestro for me. 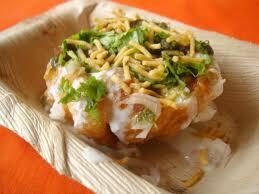 Like Preeti Shenoy, Uff Yeh Emotions, Ten Shades of life and now Sid Bahri. 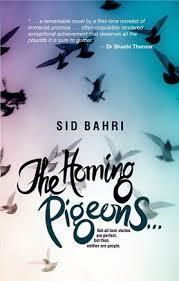 The Homing Pigeons is the first book by Sid Bahri and to say it in one word he has done a commendable feat here. The flow of the story, the narration, the dialogues and the locales all add perfectly to make a thoroughly enjoyable read. This story is about Aditya who has recently lost his job owning to the global recession and Radhika who is a rich widow. The entire story revolves around them and the love they have for each other. Before you conclude it is a typical love story let me tell you it is not. It is not the boy meet girl story where they have some minor arguments and then end up living happily ever after. For happily ever after is something you will not be able to connect with this story. I connected very deeply with the female lead Radhika for I found a piece of me in her or perhaps a piece of her in me. Somewhere deep down maybe we all women are like this, am not too sure. But it evoked very deep emotions in me, rendering me sleepless for nights. I had actually stopped reading it in between for I could not read it any further without blurring my eyes with tears. But then an incomplete book is something unimaginable for me, moreover I had to know what happened in the end. So I began it once again. For a debutante the short has been dealt with beautifully, the emotions , the hurt, the pain, the joy and all that love brings along has been depicted very well in his words. The book is perfect in terms of grammar and spellings, the credit for which goes to the editor! It’s such a pleasure to read such wonderful books as many times spellings and grammar take away the beauty of an otherwise beautiful story. I truly loved the acknowledgements given by the author and have only one word for him – respect. Wish someday I am able to gather the courage to pursue what my hearts wants to. With this book the author has really set the bar high for all the other debutantes and of course for us readers as from now on we will expect him to conjure magic in every book of his. If you are looking for some rom-com, chick-lit or light read, then this book is not for you. This book is for people who understand the intricacies of human relations and yet appreciate its beauty. Thank you for your wonderful review. It's reviews like these that keep encouraging me to write. Much appreciated. Thank you so much Sir for gracing my blog with your comment! Actually I am foodie. And I love books a lot too.